Facom Collectors Tool Set (CM.34VFER) - Only 2,000 of these were produced worldwide with 500 coming to the North American market. Each kit was individually numbered. All of the tools in this kit (excluding the 13 bits) have an attractive black nickel finish, available only through this limited production set. Sockets and ratchet are Facom's exclusive CDX ("Super 3/8") splined design...compact in size for accessibility but with the same strength as their 1/2" drive tools. 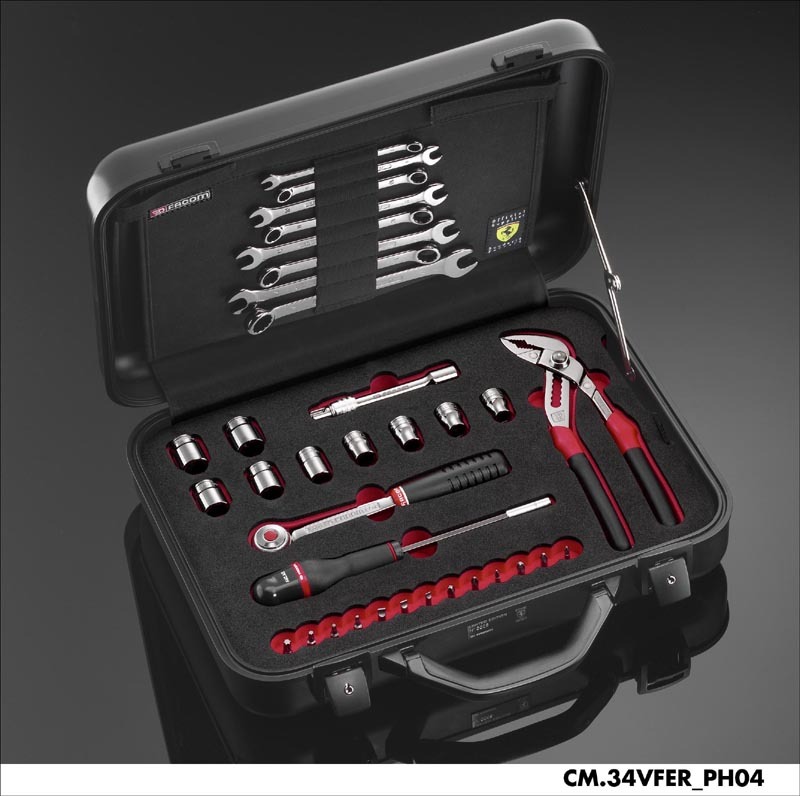 If you're looking for a truly unique example of Ferrari memorabilia, this is the set to buy. Additional photos and details. Shipping - this item ships via Fedex (additional $50 freight cost for AK/HI) . Because of a recent damage claim, some or all of the tools may be removed from the case and packaged separately. This will avoid cosmetic dents and tears to the laser cut foam should the tools shift and become dislodged during transit.